It’s easy for most people to watch TV on the sofa and ignore their retirement investments. That is exactly what most people will do. But that hands-off approach will not get you where you want to be. Almost all free enterprise systems offer the invitation to become skilled investors. Most people decline that invitation. Instead, they choose to work for money. Much of our education system is built on the belief that a student should acquire some skill or knowledge that will allow them to work for money until they can’t work anymore. Yet all of us know, or at least all of us should know, that in order to align ourselves with the principles of true wealth building we should not learn how to work for money. We should learn to make money work for us. That’s what skilled investing is all about. The problems with our 401(k) system are vast and desperate. The good news? We can identify these problems quickly and readily. Even better, we can motivate ourselves to solve these problems. We don’t need to study year in and year out to come to an understanding of these problems. Understanding the problems is more of an intellectual exercise. We want a developmental exercise. In identifying a problem, if we can graduate from ignorance to awareness on The Education ContinuumTM then that is sufficient. Once we are aware, we can place our energies into becoming true investors. One of the flaws in the 401(k) system is that it promises something that it does not deliver: results without effort. Because the problem can be identified simply people might mistakenly expect a solution to come just as simply. But the truth is still the truth whether it’s popular or not. The truth is that becoming a skilled investor is much more trying—and satisfying—than shaving off a portion of your paycheck to buy mutual funds on autopilot. Those brave few who pursue this journey have an indomitable entrepreneurial spirit. The entrepreneur gets excited about the work of investing. The 30 minutes they spend each day investing their money becomes much more satisfying than the 8 to 10 hours a day they slave away earning it at a 9 to 5 job. One of the largest industries in the world is the weight-loss industry. Like the 401(k) program, it’s filled with promises of success that overshadow the disclaimers. Losing a few pounds is possible for anyone who’s willing to work hard and follow rules. I have a friend who makes it very, very simple when it comes to any discussion on weight loss: eat less and move more. Everything else is just fluff. A person has to show discipline in their nutrition choices and discipline in their exercise routine. End of story. People try to market potions, lotions, pills, equipment, regimens, routines, dietary—but it’s no replacement for hard work and discipline. The challenge of such a realistic and down to earth message is that non-investors are always looking for something instant and free. In their search for a quick fix, they often forget the reliability of work. The fact is we can all lose a few pounds if we eat less and move more. We can all make money with hard work, knowledge, and discipline. And once a person simply embraces that fact, they can have what they want. The challenge is not the legislation that allows for 401(k)s or even the institutions that propagate 401(k)s, but rather the ignorance of the investor. If taking a personal inventory and strengthening a person’s entrepreneurial spirit is the first step, pursuing a first-class investor education is the next. My great, great, great-grandfather was a German immigrant to the United States. In Germany, he was a respected academic. He would visit with colleagues in the libraries of Germany and discuss philosophy. There, they would light their pipes and discuss the world of science and theories of creation. They would speak of art and literature and all the other branches of education. In 1857, he came to America. He became the teacher in his community. Though he is now remembered as one of the great academics of his time, he was not always thought of with such reverence. Many of the people in his community viewed him as lazy or shiftless because of his chosen career path. They valued a good farm hand more than a man who spent his days in a schoolroom teaching children mathematics and literature. His hands were not calloused enough for them. Education was frowned upon. Most people would wind up working on the farm anyway, and so they did not see value in his work. And then the Industrial Revolution arrived, and he became the first president of what stands today as one of the largest private universities in the world. Today, we see the value of education. We group countries into first and third world nations based on the quality of their educational systems. In first world countries, it has become very important to have at the very least a high school education. We teach our children to strive for a college education in the hopes of landing a good job with a high-paying salary. To discourage a child from getting a college education would be frowned upon in today’s world . . . a far cry from the world my great grandfather grew up in. Yet, when it comes to financial education, I sometimes feel much like my great, great-grandfather must have felt. There is a tremendous lack of respect for financial education today. Many people scoff at the idea of an education that improves upon their college degree. Others are realizing that it’s key to invest our time, our money, and our energy into learning new things even after high school and college—particularly when it’s education on topics that were not covered in the curriculum of high school and college. My great, great-grandfather was scoffed at because he felt that what he was teaching the children had tremendous value, perhaps even unlimited value. Yet his community believed that investing in learning math and literature was a complete waste of time, even a scam. As our world evolves, a college education becomes less sufficient. The vast majority of people who attend my workshops are college-educated. They come because they have a gap in knowledge and are humble enough to recognize that. If their college education alone was sufficient to help them achieve their dreams for retirement, they wouldn’t feel the need to attend. In the past, being an employee could afford you 30 years of good work followed by 30 good years of retirement. Now that the 401(k) system has all but destroyed the benefit pension programs, a college education that helps people learn how to become an employee is simply increasing the likelihood that a person can be a lifetime employee. The evolution of education has always moved towards more. When grammar school was no longer sufficient, high school became a necessity. When high school was no longer sufficient, college became a necessity. Now that college is no longer sufficient, supplemental financial education is necessary if a person wants to become an investor in today’s world. It’s possible to receive a financial education in the school of hard knocks. The problem is that it takes time for people to figure things out on their own. Trial and error are very time intensive and the biggest issue in terms of retirement is that we are running out of time. If we’re running out of time, we need to learn faster and better. One of the biggest weaknesses of traditional education is that most things are taught by reading or listening. The ratio of class time to field trips is lopsided. By reading and listening, we can go along The Education Continuum to the point of competency. But competency is not enough. One must complete the journey to proficiency. Recently, I purchased swimming lessons for my son. I did not have him study chapters in a book or attend a daily class. He did not listen to recordings of Michael Phelps in the car. There are no shortcuts in learning how to swim. There is no infomercial you can watch or 1-800 number for a product that will grant the spontaneous ability to do the breaststroke. Some learning must be experiential. It’s done little by little, but it’s done in the environment you want proficiency in. Of course, my son’s swimming lessons were conducted in a swimming pool. Becoming a skilled investor is similar. It requires experiential learning in addition to the theoretical learning that occurs in the classroom. This is why authors can sell millions of book copies on the topic of wealth and investing, but their readers are able to invest no more effectively than my son could swim after reading a book on swimming. There’s no substitute for experience. The brain learns best through immersion and active experience. Consider the teaching methods that are used traditionally in school as opposed to what could be the most effective in terms of education. 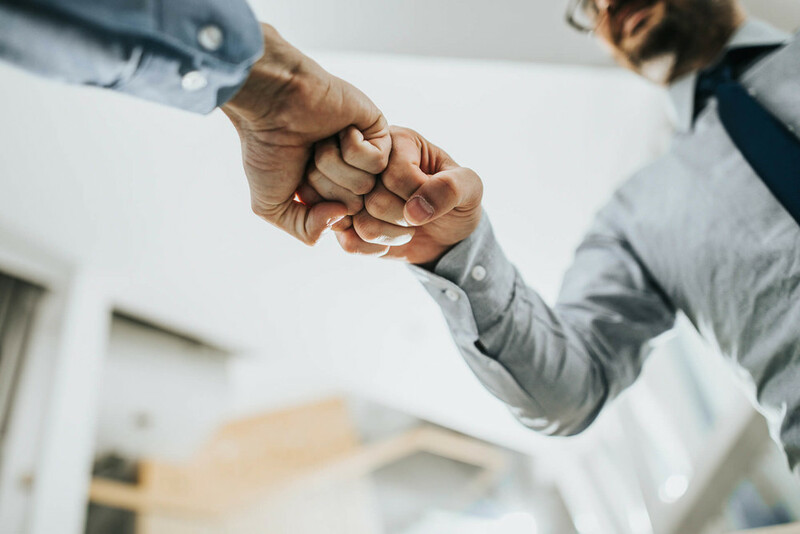 Perhaps one of the greatest choices a person can make along the path to becoming a skilled investor is finding good mentors. With a good mentor, you can harvest the costly mistakes of others without investing tuition in the school of hard knocks. Donald Trump had his father. Many other entrepreneurs jumped past college and delved right into experiential financial education. They sought the help of mentors as opposed to staying at Harvard or Yale. There’s not enough time to fulfill the education requirements of school when specialized education is what will really help us begin with the end in mind. Mentors are not teachers. Teachers give you information and grade you on how well you can repeat it. Mentors provide feedback that is more immediate and severe. For example, my chemistry professor was very much indifferent to my performance on my chemistry tests. She taught the information, and it was up to us to show her how much of it we had retained. My basketball coach, on the other hand, was incredibly hands-on. Poor performance was not penalized with a poor grade but with intense and immediate penalties like running stairs or doing push-ups until my arms could no longer move. These penalties were not a measure of our success or our failure. They were indications that we needed to work harder—meant to turn us into stronger, faster, better players. True mentorship requires practice and experience. It cannot be done on the chalkboard alone. I often think of my great, great grandfather trying to get a chicken or a tomato in exchange for the valuable lessons he was teaching the children of his community. Imagine somebody today not understanding that the value of knowledge surpasses that of a chicken or a tomato. By pointing fingers at my great, great grandfather and accusing him of laziness and fraud, they betrayed their own ignorance. Financial education is finally emerging from the cloud of misconception. In the past, alternative education resources like workshops, seminars, and webinars have been ridiculed as scams. Yet today alternative education has proven to be life changing for many. More and more of the private sector is starting to understand the value of financial education. Within the last five years, one of the largest stock brokerages in the world—one that specializes in online trading—acquired a small brokerage for hundreds of millions in cash and stock. What many people don’t know is that one of the major components of that small online brokerage was its investor education program. This education program costs about $20,000 in tuition. 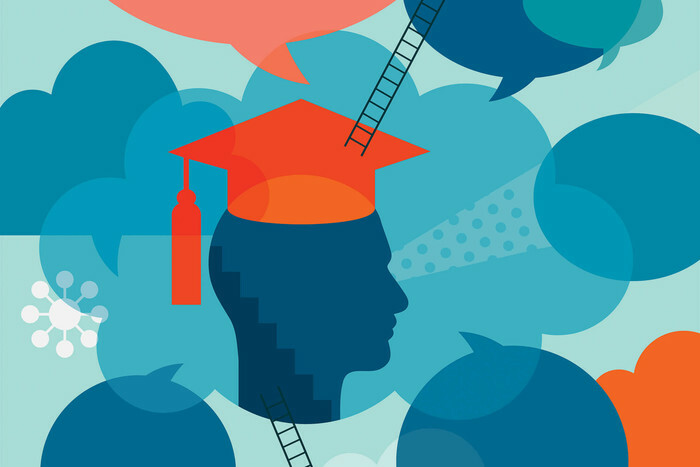 Although it doesn’t even remotely approach the hundreds of thousands of dollars demanded for traditional college degrees, it demonstrates a legitimate commitment to financial education on the part of the investor. This online brokerage certainly saw the value associated with the investor education program. After acquiring this new business, additional resources were placed into their educational programs. Because those with no financial education tend to lose multiples of the tuition investment in poor decision-making and in their misunderstanding of risk. Many 401(k) programs in this country have lost hundreds of thousands of dollars or more. Financial education is justified in our day and age in terms of time, energy, and money. As you consider your own entrepreneurial spirit you’d be wise to consider which of the different types of investments or combination of investments are most suited to you and what you want to achieve. I was visiting with a friend of mine who’s been an entrepreneur his entire life. He spent a very short time attending college before deciding to set out into the business world. He has experienced successes and setbacks, and recently tremendous success again. I paid him a visit and wound up talking to him about why I was writing my book. As intelligent as he is, I may as well have been speaking to him in Japanese. His mindset is so different from that of the average employee. He spends his days thinking about building a bigger business and increasing cash flow every quarter. He doesn’t worry about retirement. The idea of not working has never even entered his mind because he’s in control of his own business and can take time off whenever he wants. He loves his business. He loves his mission. He loves offering value to his customers. Unlike the employee who can’t wait to stop working, he can’t picture himself having more fun doing anything else. He takes trips to Hawaii and time off to spend with family. He enjoys driving fine automobiles and living in a beautiful home. He also enjoys the entrepreneurial thrills of achievement and personal growth. Many people never consider starting a business as a means to retire. Maybe it’s because it was never presented to people when they were in school. School helps you to get a job, not create an entire business. Becoming an entrepreneur is a high-risk game to be sure—but it’s also high reward. It certainly gives you an opportunity to thrive . . . whereas an employee’s 401(k) is all survival. Make a list of things that you enjoy. Make a list of people you know. Make a list of talents that you have. There’s a million dollar business idea somewhere in that list. I have a business that I very much enjoy because I get to run it with my friends. Sometimes our more casual business meetings occur over a game of HORSE on the basketball court. We enjoy the flexibility owning a business allows us. Certainly, there are bad times. There are times when the stress levels reach new heights and when the learning curve becomes sharp, but that’s when the entrepreneurial spirit kicks in. It’s not my aim to strike fear in the hearts of people regarding 401(k)s. What would be satisfying is to see you become inspired to start your own business and take on the retirement problem head-on in an innovative, independent way. I’ve had several real estate mentors in my life. While I would not yet consider myself a real estate expert, I’ve enjoyed extra income from investments from real estate. What got me interested in real estate was a comment made by one of my real estate mentors long ago. He suggested that I think about the older people in my life, specifically those struggling financially in their retirement years. He then asked me a very simple question: What if they would’ve simply bought just one more house? They were able to buy one for themselves to live in. Surely, people could save enough to buy just one more. Then, over the next 30 years, they could allow renters to make the mortgage payments until the home was paid in full. It might mean multi-millions in assets, but how different would their life be if they had bought just one more house? The sooner a person learns about investing in real estate, the better. What would an extra $1,000 a month mean to someone who is dependent on Social Security alone? What if a person was determined to become a skilled real estate investor? What if they gained the proper education and learned tricks of the trade in the hands of an experienced mentor? Time, energy, and money spent attending real estate seminars or courses would pay huge dividends. It’s an education that is truly life-changing in retirement years. Becoming a doctor or a lawyer was never in the cards for me. I don’t have the raw intelligence to compete in classes like organic chemistry and physics. But I wonder how difficult it would be to teach someone to acquire 8 or 10 homes over their lifetime. It might be the better venture for some when compared with the rigors of medical school or law school. Is Real Estate Investing Riskier than a 401(k)? There are three basic needs in life: food, clothing, and shelter. Let’s focus on shelter. People will always need a place to live. 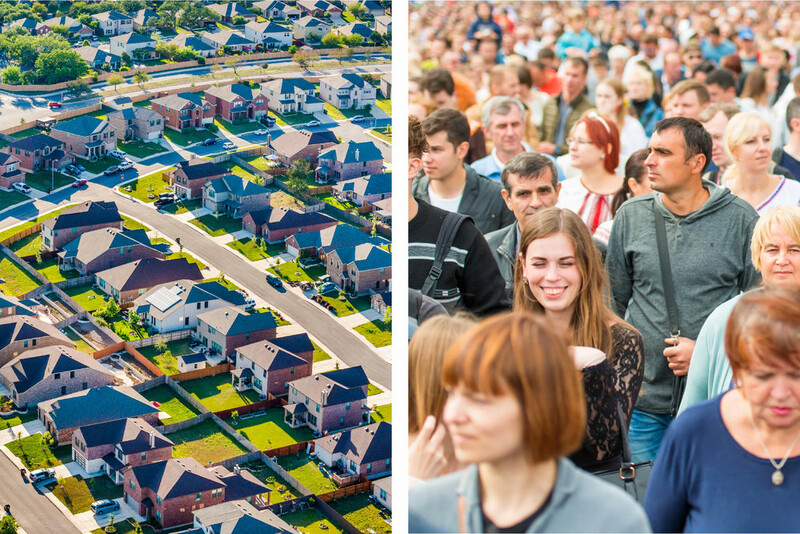 The population of the world grows each year—but real estate isn’t growing at the same pace. The need for shelter and our rising population alone make learning how to become a real estate investor as legitimate an idea as praying for the stock market to rise. Having something concrete like real estate could be an excellent move—especially if the investor has an education on how to invest correctly. If that person learns how to properly use good debt, they can insulate themselves against much of the ups and downs of the real estate market. The rules of real estate can be studied and learned just like any occupation such as accounting, plumbing, or being a zookeeper. It’s a realistic venture for the single mom or the student right out of high school. It can be an alternative for the father who was just laid off from his job. It can also be done part-time, so it is suitable for the accountant or the engineer who sees their 401(k) statement pushing the retirement finish line further and further into the future. Of all the possible investments we can make, stocks and options are the easiest. This makes them dangerous. You can get involved with no education whatsoever. Someone who’s ignorant in business is going to fail long before he’s even able to raise enough capital to get the business running. Someone who is ignorant in real estate must at least get to the point of securing financing before making any big mistakes.
. . . But the lowest financial IQs on the planet can buy stocks or mutual funds. Investing in stocks and options is not more or less risky than starting a business or investing in real estate, but its ‘ease of entry’ makes it dangerous. Investing in stocks requires the least financial education if you’re talking about involvement. However, if you want to see success then it requires just as much financial education as the other investments we’ve discussed. The options market is stereotyped as a high-risk instrument when the truth is that many options are purchased to limit risk. Learning to write covered calls in the market for income is an absolutely legitimate strategy. It can be done in a Roth IRA with significant tax benefits. In fact, the stock market is extremely versatile to the educated investor. If you think your retirement situation is bleak, open your eyes and look around. In our society, there are those who enjoy wealth and those who struggle to put food on the table every day. It’s not fair, is it? But that’s the reality of life. As you look at those who struggle and those who thrive, one significant difference is financial education. Those with an education on how to get money and grow it into wealth tend to establish their position on one side of the fence. Those without that education typically find life to be very difficult. 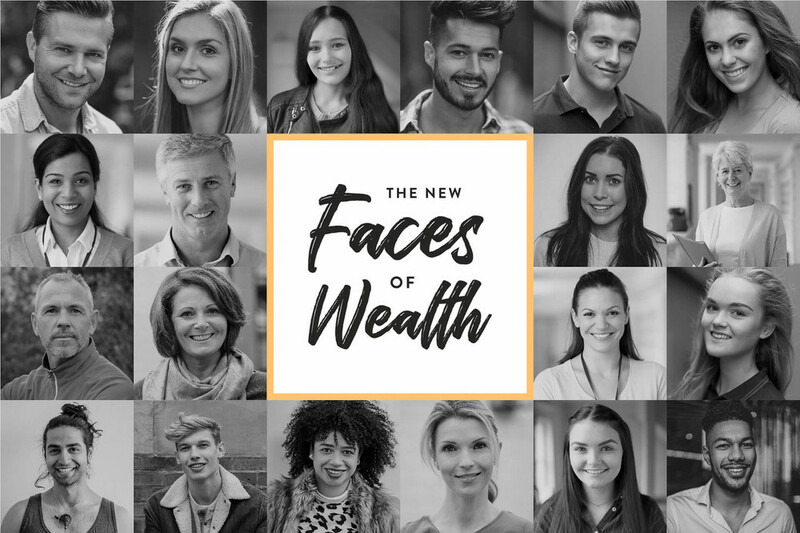 Here’s the good news: With every generation, there are new groups of people who discover that it’s absolutely within their reach to gain wealth for themselves. Creativity and knowledge are their keys to the treasury. Over my years of teaching people how to take charge of their investments, I have seen those from all walks of life transform themselves. When they decide to accept responsibility for their financial success, they realize it doesn’t matter how much money they have at that moment. 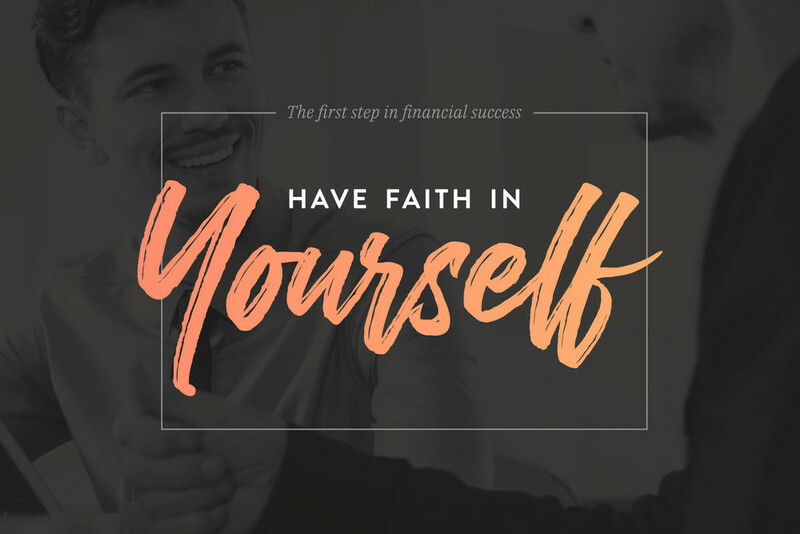 Their first big step is to have faith in themselves. By taking this leap of faith, they are allowing themselves to open their minds and learn new things. They are giving themselves permission to turn away from the sputtering 401(k) system and step boldly into a bright new future filled with knowledge and opportunity. I issue the same challenge to you: Have faith in yourself. Realize that you have the ability and intelligence to manage your own investments with more wisdom and passion than the best 401(k) management company could ever provide. Create a dream for your future and then gain the skills and knowledge to make it happen. Others have done it before you, others are doing it right now. If you decide to take that step, do it with full confidence. I participated in one particular event that was different than any other I’d been to. The meeting had no agenda and no speakers. Instead, I served on a panel with experts from various financial fields. “I would invest it,” she said. I suggested to her that perhaps she had misdiagnosed her problem. Perhaps she felt her problem was the 401(k), when the reality for her and most people is that the problem has nothing to do with 401(k)s, or IRAs, or mutual funds, or any other retirement plan. Her problem was simple. And it’s the same problem that most 401(k) participants have. They don’t know HOW to invest. REMEMBER: 401(k)s are not the real problem. The problem is investor ignorance. Before you decide it’s time to move your money out of your 401(k), take a deep breath. It’s not wise to jump from the frying pan into the fire without a plan. Remember, the first leap of faith must be in your ability to learn and grow. If you are determined to manage your own investments, you first need to educate yourself. You need to know how the markets work. You need to identify your own goals. You need to gain the knowledge and confidence required to make smart decisions. There are many resources available for individuals seeking to improve their financial education. I try to keep my students informed about the best training resources I can find. 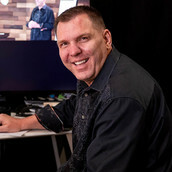 If you would like me to keep you informed, feel free to join us on this journey of financial education at www.andytanner.com. This is your moment to stand up and shine. Now is the time you choose to boldly step out from the false shelter of the 401(k) system and create your own future.